Carrier oil in Aromatherapy are the oils that carry essential oils into the skin. Carrier oils provide skin with moisture and nourishment while promoting cell renewal process. Carrier oils have multiples uses too, apart from being carrier and can be used alone for benefits. There are many varieties of carrier oils, they can be used alone or mixed with other carrier oil or essential oils to double the benefit for skin and hair. Carrier oils are less fragrant than essential oils and are very moisturizing and can be used on the hair or skin and are often found in Lotions, Soaps, Body washes and Moisturizers. Sweet Almond Oil, Olive Oil, Jojoba Oil, Coconut Oil, Castor Oil, Grapeseed Oil and Avocado Oil are easily available and preferred all over world. Sweet Almond Oil: Sweet Almond oil is light, thin and pale yellow in color. Sweet almond oil is rich in protein and Vitamin E, frequent nourishment of proteins to the hair usually results in dry, brittle hair overtime but Vitamin E balances out that part, and thus it makes it hair friendly. It has lightening and nourishing effect on the skin. Sweet almond oil eases itching, soreness and dryness of both Hair and Skin. Sweet almond oil ease inflammation, dryness, rashes and muscle pain while providing a healthy glow to skin and hair. 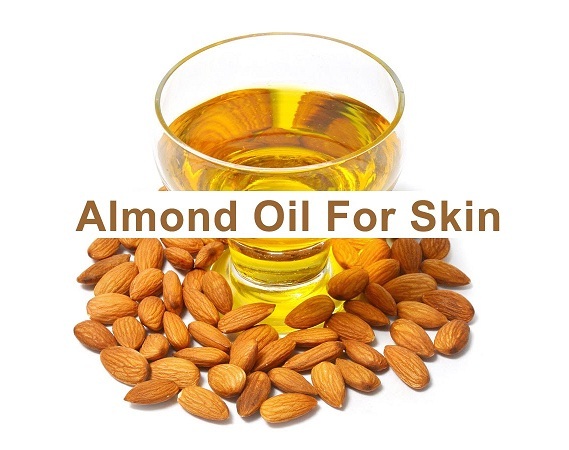 Sweet almond oil does not completely absorbs in hair cuticles and in skin. So there is no point in using excess, one should use sufficient amount. This will make it last longer as well. Sweet almond oil helps lighten skin and lips, one can use Sweet almond oil instead night cream to lighten pigmentation and dullness. You can blend 2-3 drops of Sandalwood essential oil with 1 teaspoon of Sweet almond oil and use this blend as night cream. Olive Oil: Olive oil is considered as sebum produced by human skin. Olive oil is anti-fungal, anti-oxidant and anti-bacterial in nature. Olive oil is also rich in Vitamin A and E. Extra Virgin Olive oil is good to use other than any. Olive oil help repair and renew hair and skin that has been damaged from overexposure to sun, air pollution, and other modern-day environmental hazards. Olive oil nourishes, conditions, and improves the strength and elasticity of your hair. Olive oil prevents Hair loss and clears up Dandruff. Olive oil promotes Hair growth and makes them shiny and more manageable. Olive oil works great as a hot oil treatment, and makes hair extremely soft. Olive oil has lightening effect on skin and is used to clear pigmentation. 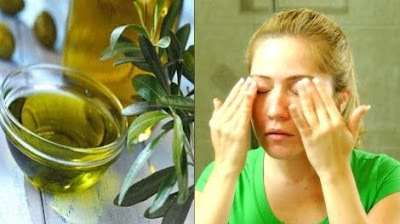 Olive oil when applied lightly on skin does not feel oily or sticky and is safe to use on oily skin as well. Acne prone skin should use olive oil in moderation, or soon after bathing. You can blend 2 teaspoon of Olive oil (warm) and3-5 drops of Lavender oil and massage into scalp and use hot towel for better absorption. This will result Shiny, Strong and Smooth hair. Jojoba Oil: Jojoba oil (read: Hohoba), technically is not oil but liquid wax ester produced in the seed of the Jojoba plant. Jojoba Oil has similar chemical properties as the sebum human bodies produce naturally which promotes clean healthy hair and skin. Jojoba oil is rich in vitamin E which makes it great at combating frizzy hair. Jojoba oil has anti-fungal, anti-oxidant and anti-bacterial properties which help reduce hair loss, caused by the factors like, scalp dermatitis, psoriasis and eczema. Jojoba oil is a great scalp cleanser, which dissolve and removes excess sebum and this cleansing property helps to prevent hair loss and hair breakage. Jojoba oil also works great to control acne and keep the skin moisturized yet non-greasy; it is boon for Oily skinned beauties. You can use Jojoba Oil instead of moisturizer for Oily skin. Jojoba promotes Clear, Smooth skin and minimizes the appearance of wrinkles. Refined Jojoba oil is odourless and has longer shelf life. If you have oily skin, dab 2-3 drops of Jojoba oil on your face instead of Moisturizer. This trick will confuse your skin that it has already secreted enough sebum. This slows down the sebum production. You can even add a drop of Grapeseed essential oil to it. Coconut Oil: Coconut oil is one of the thickest carrier oil. Coconut Oil has strong anti-bacterial, anti-viral, anti-fungal, and anti-microbial properties. Extra Virgin Coconut Oil should be used for Hair and skin. Coconut Oil has high fatty acid content and thus regular application of Coconut Oil on the scalp knocks out dandruff, lice and other scalp conditions. Coconut oil has a high vitamin E, vitamin K, and iron content, making it great for hair and skin. Coconut oil has wonderful, nutty fragrance that blends wonderfully with nutty, woody essential oils. Coconut oil works best on Chapped Lips and skin, including heels. Apply a layer of oil every night before retiring. It also makes skin super soft to touch and feel. Coconut oil is heat stable, making it a great heat protector for styles that involve heat. And it absorbs better when warmed before application. If you want to use Hot oil treatment for Hair, Coconut Oil is the best choice. Coconut oil promotes hair growth and stops hair fall, if used regularly. Coconut oil also stimulates brain and soothes, providing sound and peaceful sleep if massaged into scalp before sleeping. You can blend 2 tablespoons of Extra Virgin Coconut Oil with 3 drops of Rosemary and Lavender each for Massaging and Hot oil treatment. Castor Oil: Castor oil is made from Castor beans and should be used cold compressed which is hexane free for skin and hair. Castor oil is extremely thick and sticky, but penetrates well into the skin and hair after few minutes. Castor oil, like many carrier oils, is anti-bacterial and anti-fungal in nature. Castor oil is an effective in prevention of acne, thinning hair, wrinkles, scars, ring worms, stretch marks, moles and warts. Castor Oil if applied regularly reduces and prevents hair thinning around the edges. Castor oiled Hair or skin cleansing can be fuss for few, Use Apple Cider Vinegar to help get rid of the residue. 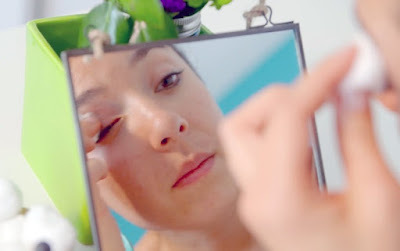 Castor oil if applied on Eyebrows and Eyelashes, increase in density and thickness is noticed. If you want to use castor oil, you can blend it with other carrier oils to reduce the oils thickness. If you are suffering from Acne, Steam you face and massage little Castor oil. Do this every alternate night before sleeping. You can blend Castor oil and Coconut oil in equal parts for Hair and use undiluted for skin. Grapeseed Oil: Grape seed Oil is extracted from Grape’s seed, a fruit. It has very thin consistency and is pale yellow in color. Grape seed oil has lower oil content when compared to oil from nuts. Grapeseed oil is lighter in weight than most oils so absorbs into the skin and hair much faster, without weighing hair down. Grapeseed oil is non sticky and can be safely used on all skin types. Grapeseed oil contains vitamin E and Linoleic acid that strengthens Hair. Grapeseed oil helps to fight free radicals and stop some of the enzymes that destroy collagen, elastin and other connective tissue. This can be a natural substitute for Anti-aging creams. Grape seed oil can be a great moisturizer for Oily and Normal skinned girls. You can blend 2 teaspoon of Grape seed with 3-4 drops of Sandalwood oil or Rose oil and use as moisturizer for Oily and Aging skin respectively. Avocado Oil: Avocado oil is pressed from the fleshy pulp surrounding the avocado pit. Avocado oil is a deeply penetrating oil rich in vitamins A, D and E, lecithin, potassium, beta-carotene and essential unsaturated fatty acids. Avocado oil helps to treat eczema, psoriasis, climate damaged, dehydrated and undernourished skin and hair. Avocado is enriched with chlorophyll, and works for mature, aging skin very well by increasing the amount of collagen in the skin. Avocado oil is great for dry, itchy scalp and skin as well as dry, brittle hair. It nourishes every Hair shaft and cuticles. Avocado oil also reduces age spots, scars and pigmentation with daily application. Avocado oil can be blended with 2-3 drops of Patchouli essential oil and used for daily application. Brands like Aroma magic, Forest Essentials, Aroma treasures, Soul flower and Aloe Veda manufactures good quality of Carrier oils which are also available worldwide. Carrier oils do not harm and can be used alone or blended with other carrier oils. Do you use carrier oil for Hair and Skin? Let us know too.